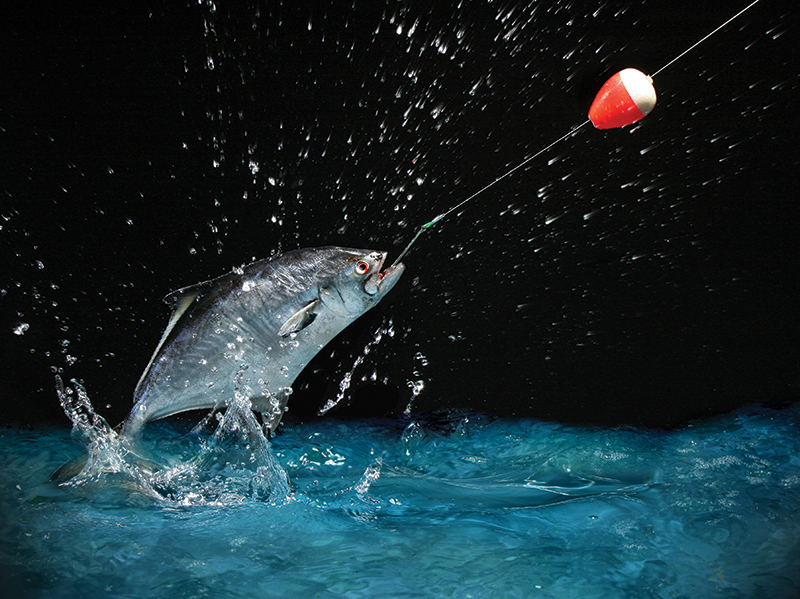 Five tactics and techniques will make a night fishing trip a rockin' good time. Fishing after the sun’s gone down has an extra element of adventure to it and can be incredibly productive, even when other forms of fishing fail to fill the cooler. It takes some extra work and preparation — it can even lead to a rough wakeup the next day — but if a few unproductive fishing trips in a row have left you needing more excitement, maybe it’s time to plan some night moves. These five tactics and techniques will ensure the trip is worth the lost sleep. Combine pre-existing artificial light with more artificial light. Lights attract fish at night. You’ve certainly noticed that artificially illuminated spots — bridges with street lights and piers with lights on the end — attract fish. 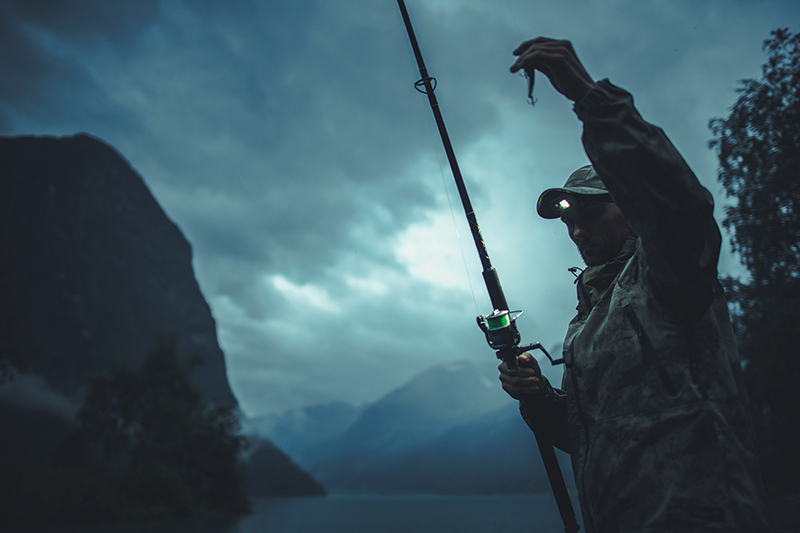 Be prepared to create some light of your own with a submersible fishing light — I’ve found the green ones work best — which draws bait and then predators close to the boat. To make the most of an evening on the water, put these two elements together. Position your boat under a bridge that has bright lights shining down. Fish have become accustomed to visiting such lights in the darkness, so just drop your own light overboard to get ’em swarming. Put your offerings close to the “lightline,” the visible edge of the artificial light, where it disappears into the darkness. Predators often cruise around on the dark side of this line, where they remain in the shadows, as they look for baitfish and critters that are visible inside the lighted area, so putting lures or bait into this hunting zone is critical. Tip: Before you anchor the boat near an artificial lightline, drop your submersible fishing light over the side and see just how wide an arc of illumination it provides in the current conditions. Then fine-tune your position so the lightline created by your light intersects with the lightline formed by the other artificial lights. The double lightline will be a primo spot to place baits. Fish with a live bait, or use a lure that creates vibrations. At night, many fish use senses other than eyesight to help them hunt. Fish have an inner ear they can hear with, and they have a lateral line full of neuromasts they use to detect movement and pressure changes in the water. They can “feel” a bunker struggling on a hook and hear the rattles of a lure with a rattle chamber. 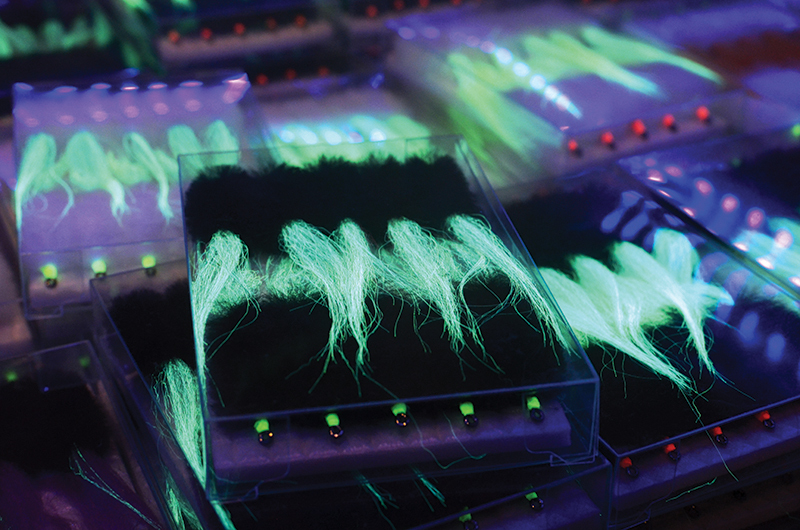 Add some extra illumination to the fishing line or bait. Such light can range from attaching a glow stick to a line set in the ocean for swordfish to using a soft plastic trailer that glows while fishing for crappie in a lake. (Glowing lures require light, so remember to bring an extra flashlight to “charge” them up between casts.) No matter the type of night fishing, any extra visibility can make the difference between success and boredom. Jumpstart the food chain by chumming, chunking or otherwise feeding the fish. But I’m not just talking about using free food to attract the predators. Sure, it’s a good idea, but try doing it to attract a swarm of baitfish, which will draw even more predators. In freshwater, try dry dog food, oatmeal, corn meal or bread crumbs to attract shiners. In saltwater, these same things pull in bull minnows and silversides. And in the ocean, tuna fishermen who toss fish chunks into the water to attract tuna can also get squid and tinker mackerel excited by hanging a bag of ground chum over the side or by chopping some of the chunks into smaller bits. If you’re ready to try out some new night moves, then put fresh batteries in your headlamp, make sure all your safety gear is in working order and brew an extra thermos of coffee to help you stay awake. And maybe call the boss and take tomorrow off. If you employ these tactics and get into a hot night-bite, you probably won’t want to go home until the wee hours of the morning.